In the latest development in Padmaavat row, Law and order situation is peaceful in Rajasthan, says Gulab Chand Kataria, Rajasthan Home Minister. Even as violent protests against Sanjay Leela Bhansali's Padmaavat continued ahead of the film's release on Thursday, January 25, cinema owners in four states – Rajasthan, Gujarat, Madhya Pradesh and Goa – have decided not to screen the movie till the issue between Karni Sena members and Bhansali is revolved. "We have decided not to play the film in four states—Rajasthan, Gujarat, MP and Goa—as the local management has told us that the law and order situation is not conducive," Deepak Asher, president of the Multiplex Association of India said, the Times of India reported. Uttar Pradesh too is uncertain whether to screen the movie or not. In Haryana, those theatres ready to screen Padmaavat are provided full protection. Security in Dehradun has been tightened as multiplexes run houseful. Situation in Uttar Pradesh, Jharkhand and Bihar worsen. Multiplex owners cancel Padmaavat shows. In Rajasthan, Karni Sena stages bike rally to protest against the movie, which will not be screened in the state. 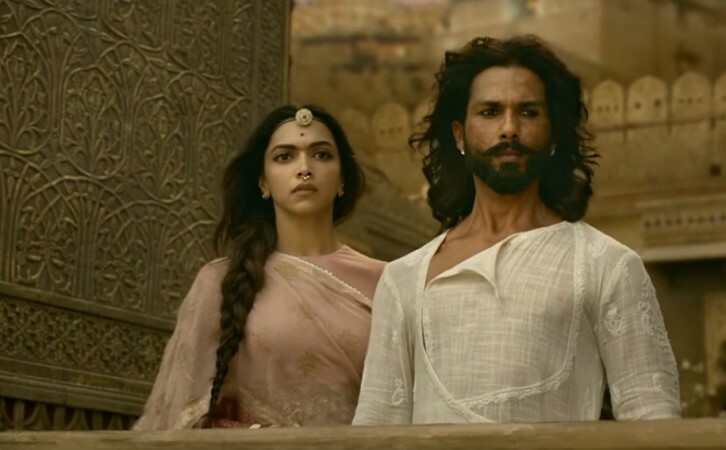 However, cinema and multiplex owners in five Southern states and West Bengal are going ahead with the screening of Padmaavat without any hassle. Cinema owners in Delhi, Punjab, Uttarakhand and Himachal have also decided to screen the film as per schedule. The Mumbai police force is geared up to take action against miscreants who try to create a nuisance while protesting against the release of Padmavaat, an official told India Today. In Punjab, the Rajput Mahasabha in Punjab withdrew its opposition to Padmaavat after leaders from the community inclduing president Davinder Darshi watched the movie at a special screening in Pathankot. The film is being released in three different languages – its original version in Hindi and dubbed in Tamil and Telegu. "As on Wednesday evening, it is getting released in about 600 screens across the five southern states," a source in Viacom 18 Motion Pictures told the daily. Although Maharashtra is expected to have a smooth sail, Minister for Tourism Jaikumar Rawal appealed to people against watching the controversial film. According to DNA, when Rawal was asked if it was fair on his part being a minister to make such appeal, he said that he is also a human being and would not like people to watch a distortion of history. Meanwhile, Padmaavat starring Deepika Padukone, Ranveer Singh, and Shahid Kapoor has received rave reviews from Bollywood critics and celebs. According to critics, Ranveer and Deepika have delivered their career-best performances. The vibrant cinematography, melodious soundtracks, and brilliant dialogues have enthralled the critics and celebs. Overall, the period drama is entertaining and engaging throughout.